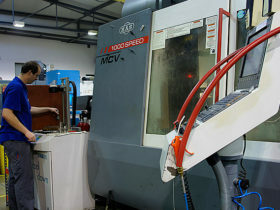 The tool shop specializes in design, manufacture and putting into operation of forming tools (punching, drawing, bending and combined tools), moulds for injection of thermoplastics and two-component plastics, measuring fixtures, automation for injection moulding of plastics and for spare parts. 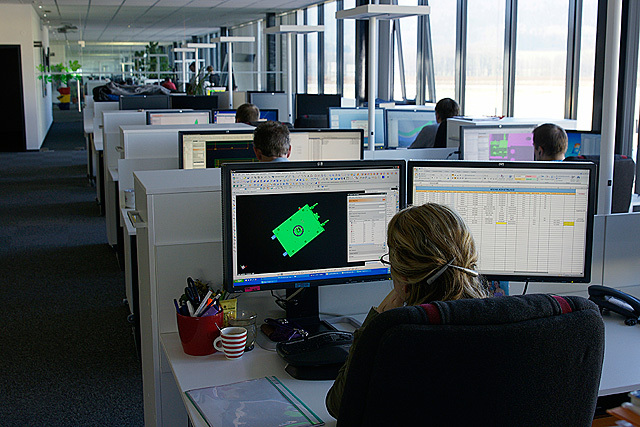 The designing department is one of the key departments at FOREZ. 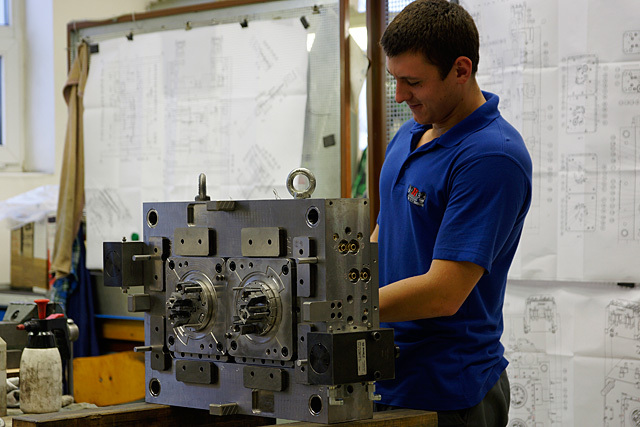 12-15 designers prepare models of moulds for injection of plastics, dies for stamping of metals, fixtures and equipment for automation, and 2-4 draughtsmen/draughtswomen prepare production documentation (workshop drawings) based on the models. 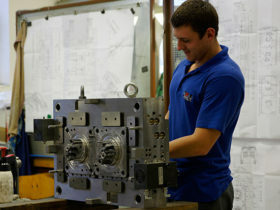 Moulds and dies are designed based on moulding and stamping models delivered by customers. 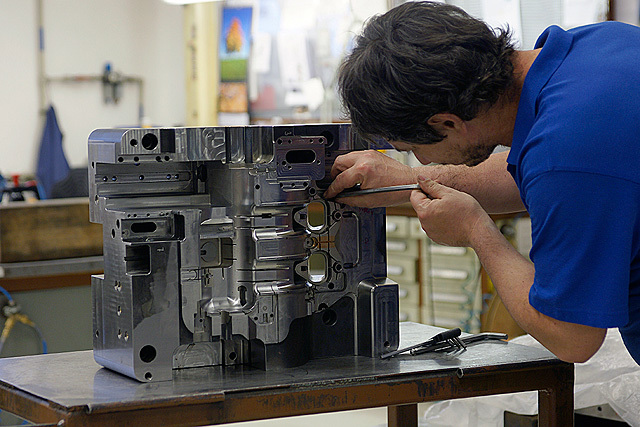 In the field of plastics, besides standard moulds, our designers are experienced in multi-component moulds, moulds for rubber injection, multistage moulds, and moulds with nitrogen cores (GID). 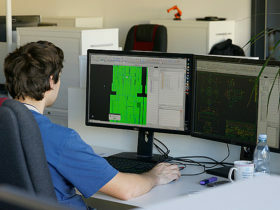 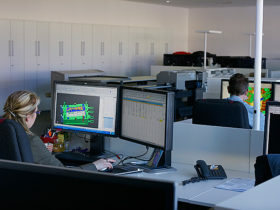 In the field of metal processing our designers have experience with single-position tools (cuts, bends, draws), progressive dies for transfer presses – mainly deep-drawn parts, tools for the so called Talo presses (Bihler), tools for stamping at high-speed presses, tools with threading units, tools with screwing units, riveting tools, … Concerning equipment for automation, our designers prepare manufacturing documentation of gripping heads for press robots, measuring devices for stamping measurement (dimensional, functional and electrical measurement), automation for presses – preparation of contacts for embedding, contact bridge cutting through. 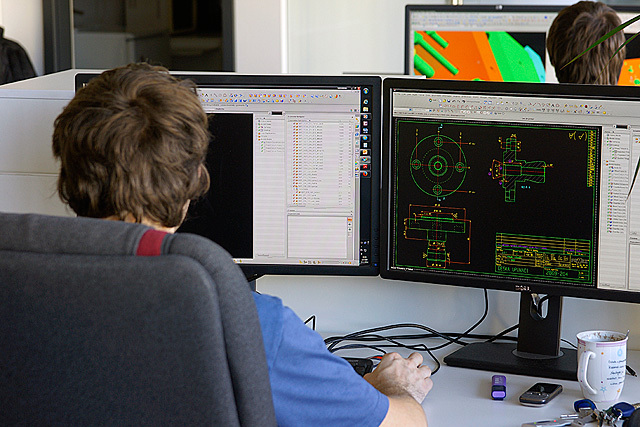 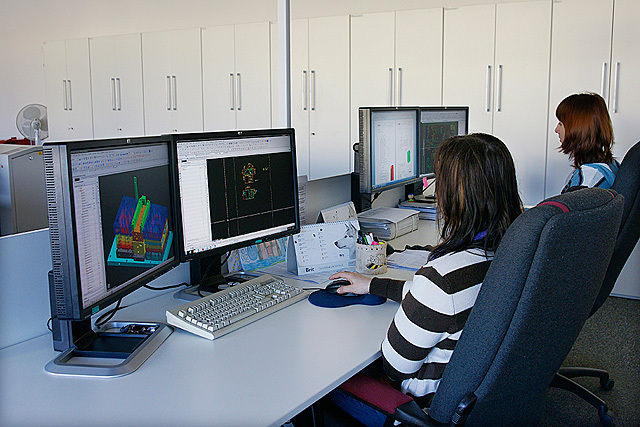 Siemens NX 8 CAD system (formerly Unigraphics) is used for creation of models and drawings. 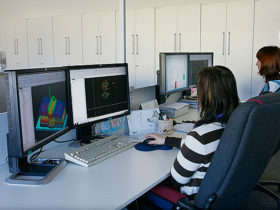 Simcon Cadmould CAE system is used to analyse injection of plastics. 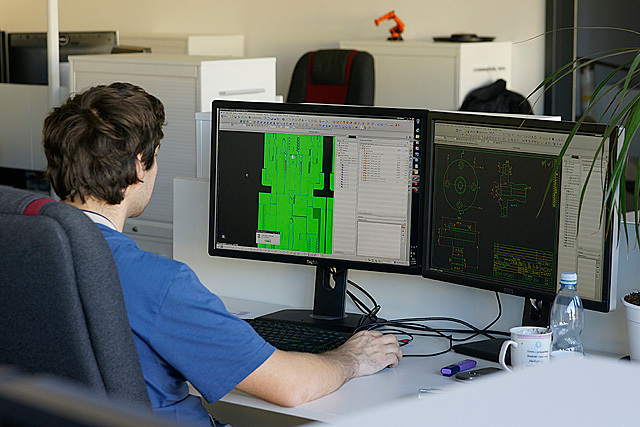 This software allows to better assess beforehand the gate location, cold joints, tension conditions in the moulding, …, but in particular the part deformation. 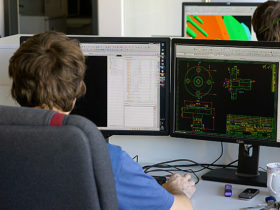 Thanks to this fact, already at the stage of design measures can be taken or recommendations can be given for minor changes to the moulding so that complicated debugging only at the stage of manufactured mould can be avoided. 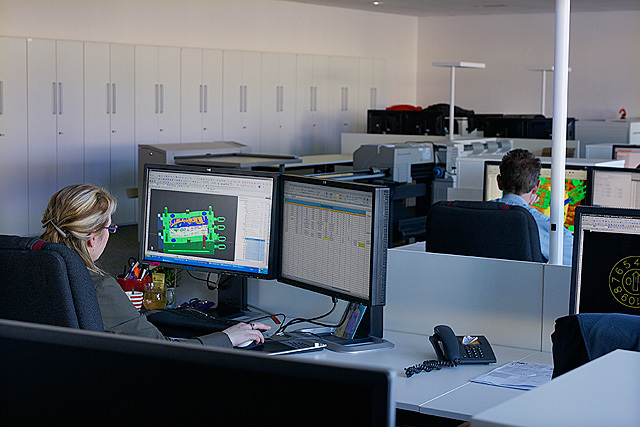 The drawings are created at the Xerox large format multi-functional equipment fitted with a drawing folding device. 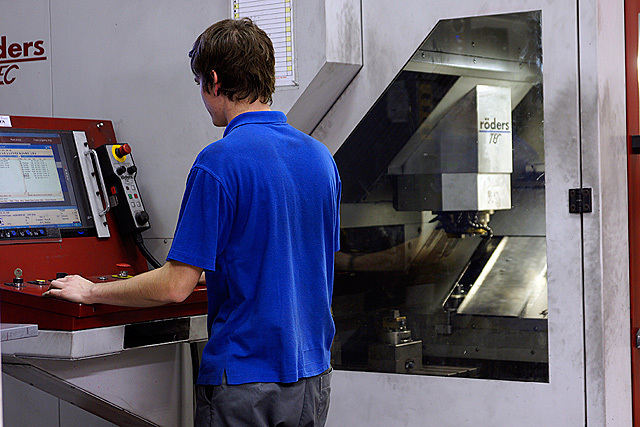 The tool shop capacity is approximately 2,100 fitting and assembly hours per month. 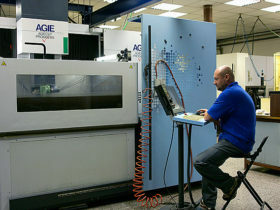 Corresponding machine, technological and designing capacities are also available. 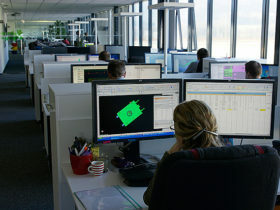 The tool shop is a holder of the quality management certificate according to ČSN EN ISO 9001:2008, ČSN EN ISO 14001:2005. 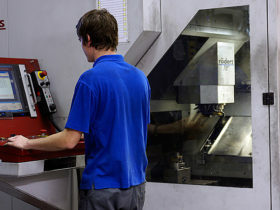 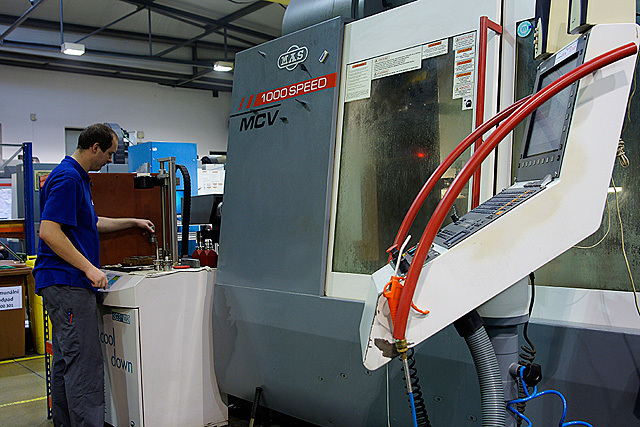 HSC CNC machining – machining of graphite and copper electrodes, machining of hardened materials do 60 HRC. 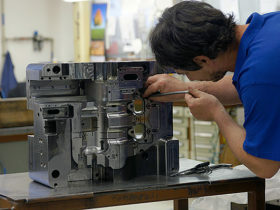 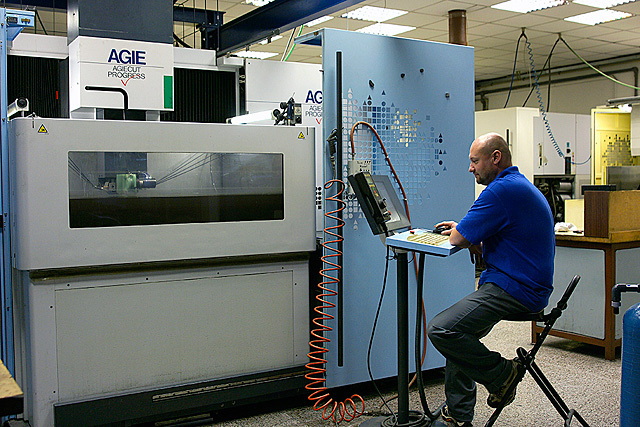 Fitting and assembly of tools, moulds and fixtures with a weight of up to 6,000 kg.